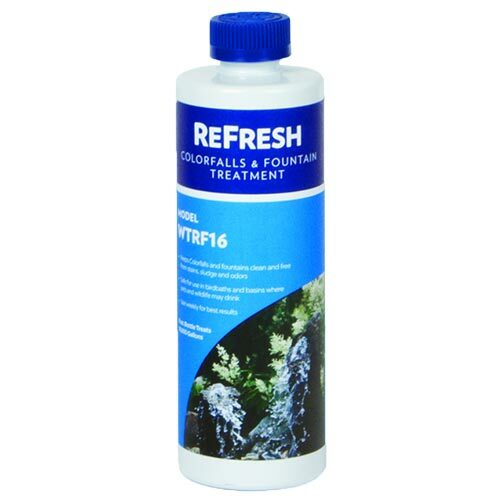 ReFresh keeps Colorfalls and Fountain Basin water clear and free from odor by preventing organic debris from building up. It can be used to treat the water in Colorfalls, fountain and bubbler applications. Application Rate: Apply 1 oz per 100 gallons once a week. If problems persist apply ReFresh twice a week at the prescribed rate until desired results are achieved. For Best Results: Apply directly to basin water for maximum results.